On the evening of Friday, 25 October 1946 the Cambridge Moral Science Club--a weekly discussion group for the university's philosophers and philosophy students--held one of its regular meetings....That evening the guest speaker was Dr. Karl Popper, down from London to deliver an innocuous-sounding paper, "Are There Philosophical Problems?" 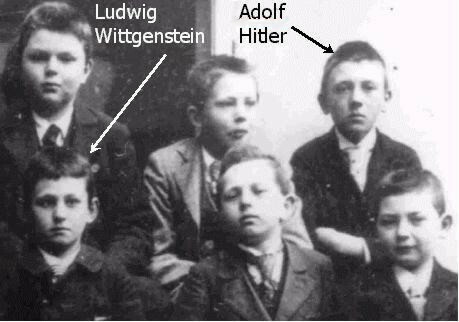 Among his audience was the chairman of the club, Professor Ludwig Wittgenstein, considered by many to be the most brilliant philosopher of his time. Also present was Bertrand Russell, who for decades had been a household name as a philosopher and radical campaigner. This was the only time these three great philosophers--Russell, Wittgenstein, and Popper--were together. Yet, to this day, no one can agree precisely about what took place. What is clear is that there were vehement exchanges between Popper and Wittgenstein over the fundamental nature of philosophy--whether there were indeed philosophical problems (Popper) or merely puzzles (Wittgenstein). These exchanges instantly became the stuff of legend. An early version of events had Popper and Wittgenstein battling for supremacy with red-hot pokers. As Popper himself later recollected, "In a surprisingly short time I received a letter from New Zealand asking if it was true that Wittgenstein and I had come to blows, both armed with pokers." From there it discusses the lives of Popper and Wittgenstein, from their early years in Vienna to their time in England and the ideas of those places and times, up to and including the famous clash between the two in Cambridge. I second this suggestion. It's not only informative, but highly entertaining. In a nutshell, one can divide Wittgenstein into two phases. In his first phase (Tractatus Logico Philosophicus), Wittgenstein contends that since language seems to capture every facet of reality (try thinking a thought that can't be expressed in language) that language and reality must share the same logical structure. Thus what cannot be expressed in logic cannot be said to describe reality in a sensible way. The second phase (Philosophical Investigations) does away with logic as a necessary underpinning to reality and establishes ordinary language as the main constructor of reality. Thus expressions only make sense insofar as they are useful and conform to publicly agreed upon norms. Thus, for example, since we roughly agree upon usage cases for the word blue, there can be no separate meaning of blue that refers to a "private" perception of blue, which does away with a question such as "do we share the same blue?" It seems the https equivilent of this page is missing, so if you're running EFF's HTTPS-Everywhere add-on, you'll need to disable it via the Options button in Add-ons. we need moar of this food for thought on hn..